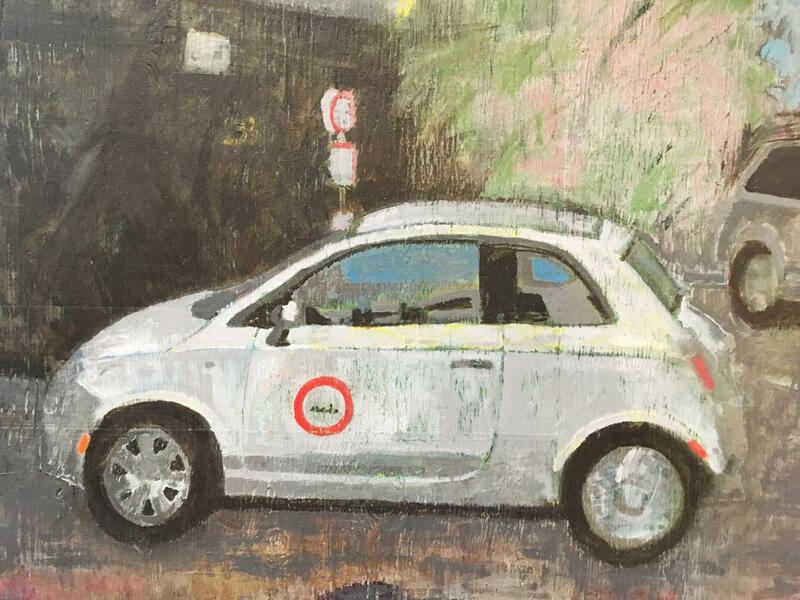 Get the first look at a Modo art original, created by a local Culture Crawl artist and Modo member! Supporting local artists in our community as heavy users of Modo for their work is a big part of our co-op and we want to give back. Not only as sponsors of the annual Eastside Culture Crawl, but throughout the year. "What would it look like if we had more carsharing and less parking in the city? I wanted to integrate the idea of a cityscape with cars in it and have a suggestion of something else—what else could be there or was there? That was my starting point and from there I tried to land on the right image"
Take a Trip: Sea to Sky! Coffee in Cars "egg hunt"! SECOND CAR and LOCATION MOVE at Waterfront. A 2017 grey Toyota Corolla (#873) joins the 2011 Mazda 2 – and to accommodate two cars, we’ve moved our stalls behind the pay gate, at the top of the first ramp. NEW LOCATION at National & Quebec. Find a 2017 white Honda Fit (#889) in a designated stall on National Avenue, just east of Quebec Street. NEW LOCATION at Callister Park. You can find a 2015 white Toyota Sienna (#721) on the west side of North Renfrew Street, just north of Oxford Street – across from Pacific Coliseum and next to Callister Park. NEW LOCATION at E-Comm. A 2014 blue Nissan Versa Note (#485) now lives across from the E-Comm building's entrance gate, on the southwest corner of East Pender Street and Rupert Street. CAR CHANGE at McGill Park. In response to member demand for a smaller car, we’ve shrunk the Toyota Sienna to a 2017 grey Honda Fit (#890). UPGRADE at City Hall Surface Lot. Amongst our many cars at this location, a 2017 white Honda Fit (#886) has replaced a 2014 Nissan Versa Note. Whether you're new to Modo or just need a quick "refresher", our Carsharing 101 video explains the basics of two-way carsharing (and it's fun to watch too!). 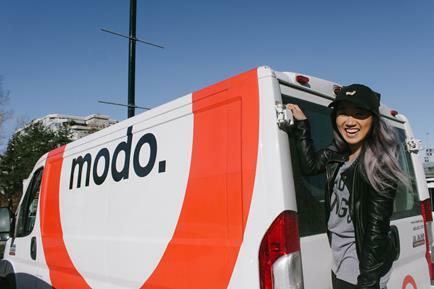 Find out how you can share your booking with another driver or where to find Modo at ferry terminals here. Modo Ambassador Elicia is a transportation expert by trade and an advocate for a multi-modal lifestyle with Modo, Mobi and transit. 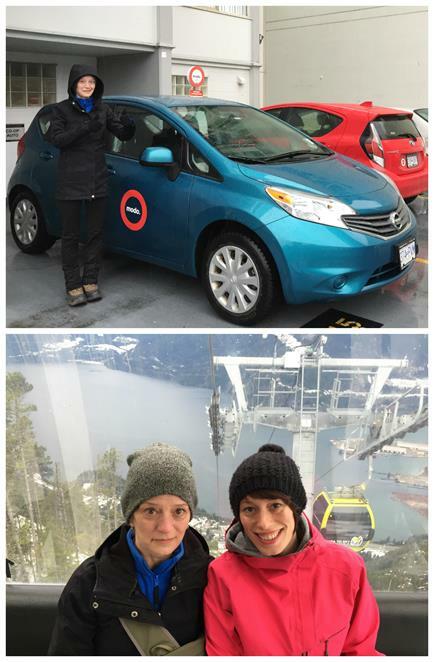 To surprise her mom during a recent visit from Saskatoon, Elicia planned a special surprise trip up the Sea to Sky highway, inlcuding stops in Squamish and Whistler, complete with a gondola ride and spa visit! Staff Tip: Spare seats? Share your ride with Pop members and save driving cost. Our team makes sure our fleet is in top shape for your next trip! 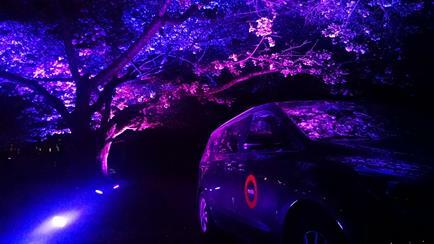 As a shared service, we ask our members to leave the vehicles on the same condition as you find it to maintain a smooth and enjoyable driving experience for all members. Especially after a longer trip, the car might need some extra love. You can help us stay "spring clean" and earn free drive time! 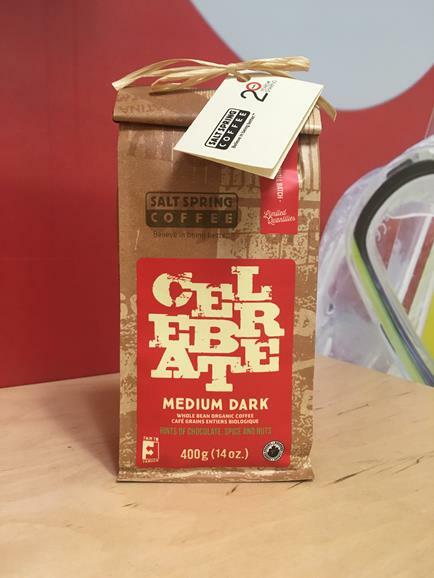 Check your Modo booking this month for our Salt Spring Coffee giveaway in cars, featuring a special "Celebrate" blend to honour your trust and support over the last 20 years of sharing with Modo. We’re regularly updating our website to best serve all our members. Share your Modo website feedback in our quick poll! Starting March 31st and ending April 20th, bookings in these cars are 10% off! >> SPRING LIGHTS Modo member and Eastside Culture Crawl artist Ben Z Cooper of Hfour uses his Modo membership to set up light illuminations projects. Hfour's upcoming project “Spring Lights” (free entry!) will take place at Queen Elisabeth Park end of April as part of the Vancouver Cherry Blossom Festival. >> GOTCHA! This year's April Fool's joke even had some Modo staff members second guessing. Are we really getting into boats? No. But glad to see how supportive our members are! >> BICI LIBRE UBC's AMS Bike Co-op recycles and rebuilds bikes as part of their Bici Libre initiative, supporting migrant farm workers across Metro Vancouver and Fraser Valley with bicycles to remove transportation barriers. Check their volunteer openings! 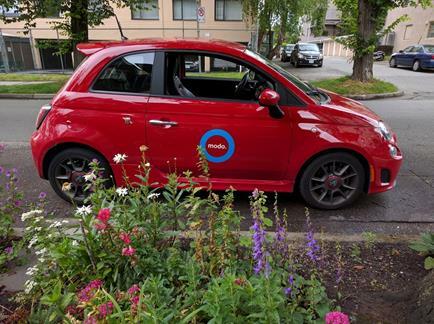 >> CARLESS FAMILY Modo member David shared his family's recap of their 5 year "carsharing-anniversary". Happy to hear about your experiences! >> CONGRATULATIONS Modo member John Westhaver won the "Courage to Come Back Award" honoring his rehabilitation after a car crash, now engaging youth as a motivational speaker, and road safety speaker for ICBC. >> 6 REASONS Elisabeth Ormandy of the charity Animals in Science Policy Institute shares why Modo works so well for her team! >> BC COOPS Modo's Selena McLachlan and Board member Joel DeYoung celebrate co-ops in BC and exercised their member privileges at The Co-operators Insurance AGM this week. >> MODO MATH New Modo Ambassador and longterm member Keane Gruending did the math for us: How much money can carsharing save you? Join the CityStudio team at Vancouver City Hall between 9.30am and 12pm for a free event, featuring presentations of student projects that aim to make the city "greener, healthier and more engaged". The Urban Worker Skillshare Series will provide helpful advice, workshops and networking for freelancers and "solopreneurs" on April 8. Modo is a proud sponsor of Western Canada's largest documentary film festival. See what's on the schedule this year.